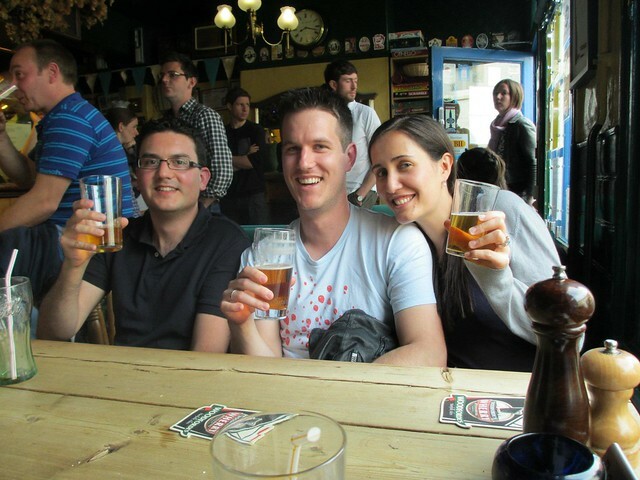 As I’ve mentioned in previous posts, we tried to visit every pub in Cambridge. 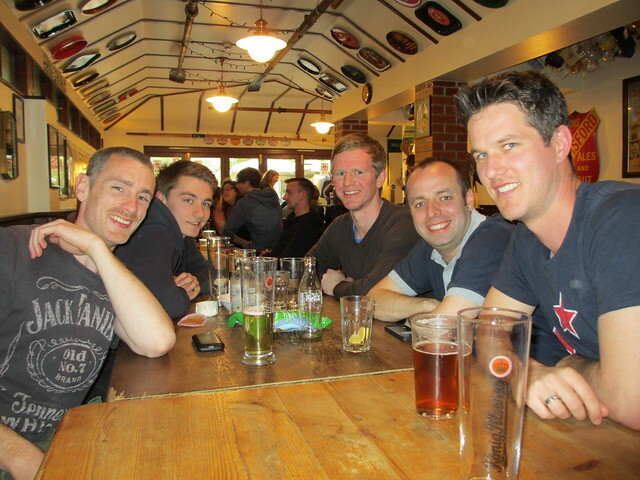 And while we weren’t successful, we visited many many pubs and they were easy to enjoy. Low key decor, rough around the edges, mismatched furniture with a constant supply of real hand-pulled ale. 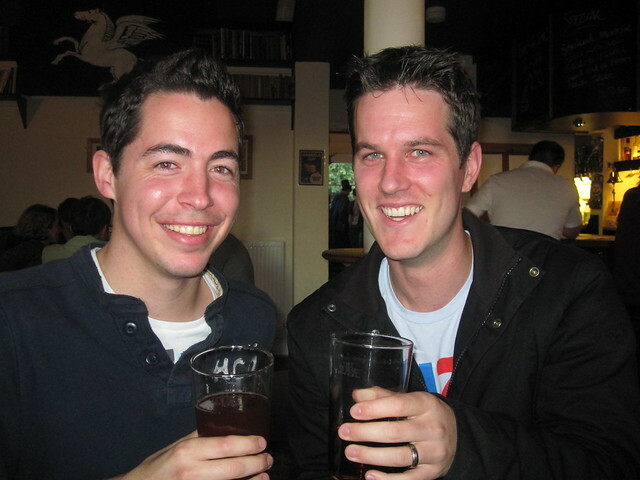 I didn’t like beer before I moved to the UK, but real ale taught me better. Real Ale is always cellar cool (not chilled) and has low carbonation (not foamy) with well rounded full flavour. Turns out I’m not a big fan of hoppy beer, and a lot of the popular British real ales are quite smooth by comparison to Kiwi ales so I was in heaven. Badger’s Fursty Ferret was a favourite bottled ale to have at home or Milton’s Pegasus was an easy one to have when we were out. Yum! It was difficult to pick just 5 favourite pubs, so we actually mention 10 here, but there was an easy Top 5, and a super easy #1. I hope you enjoy our list! It was tough picking just 5 pubs for this list because there were so many we enjoyed, or were memorable, or whatever. The Geldart was one, because it had South African owners and they always had unusual steak specials, like horse, zebra, or kangaroo served on hot rocks. The Free Press was another because it was so low key and basic and small that you couldn’t help but fall in love with it. The Cambridge Brew House was a new addition to the Cambridge pub scene, serving a variety of interesting pub meals and having an atypical selection of ales on tap. 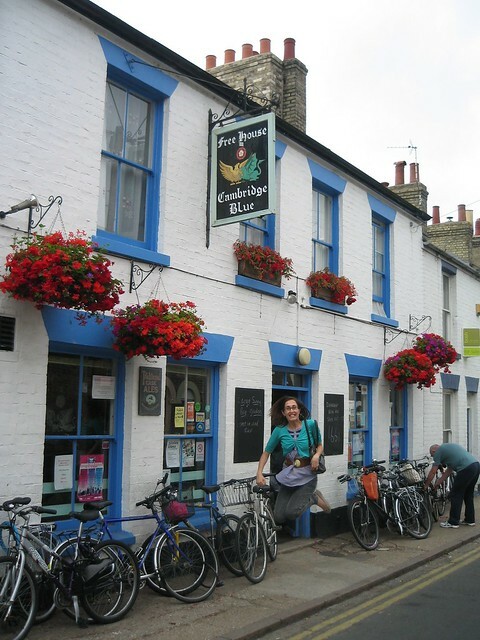 And if you’re a tourist in Cambridge, you should definitely go see The Eagle which has some great history. 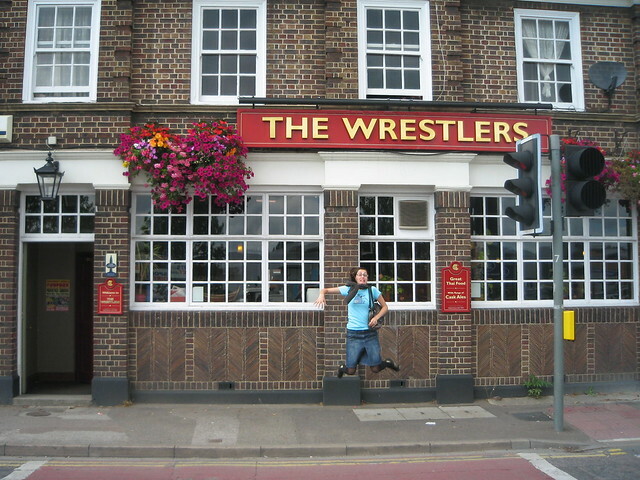 Final special mention though goes to our local sports pub that was just up the road, The White Swan. Now, a lot of people will talk down about the White Swan. The food was crap, they might say. Their ales were always a bit sour, which is true. But none of that mattered because it was the only pub near our house that would open on Saturday mornings to play New Zealand rugby matches. They were also where we watched every weekend Rugby World Cup match during the 2011 tournament (which were all in the morning, of course). 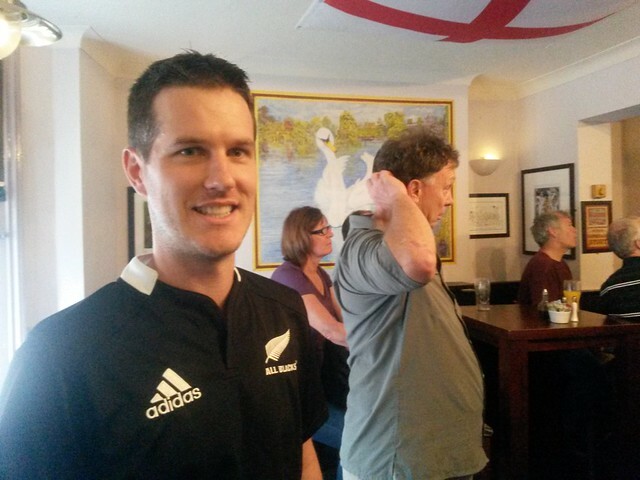 On the morning of the Final, the pub was packed with Kiwis, French supporters and Englishmen claiming to be impartial. 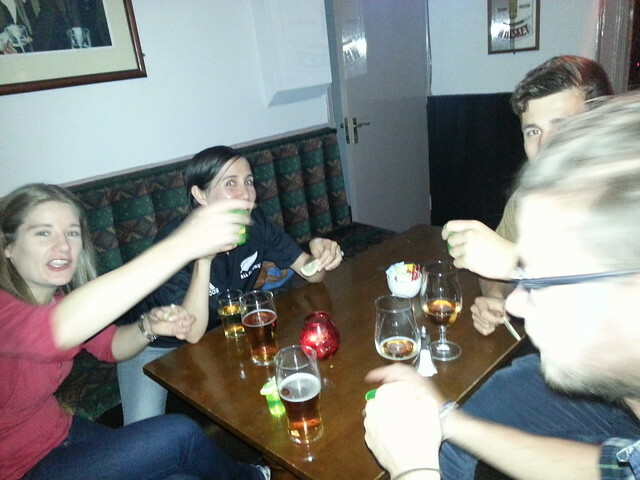 We had to grab some ciders at half time to settle the nerves, but it was all worth it in the end. Great memories. But still, if there was rugby we wanted to watch, we would watch it at the Swan, and I thank them for that. The Wrestlers gets on this list because I must’ve been there dozens of times in my 4 years. It was a popular Friday lunch spot for me and my work friends for it’s delicious Thai food and well poured ale. 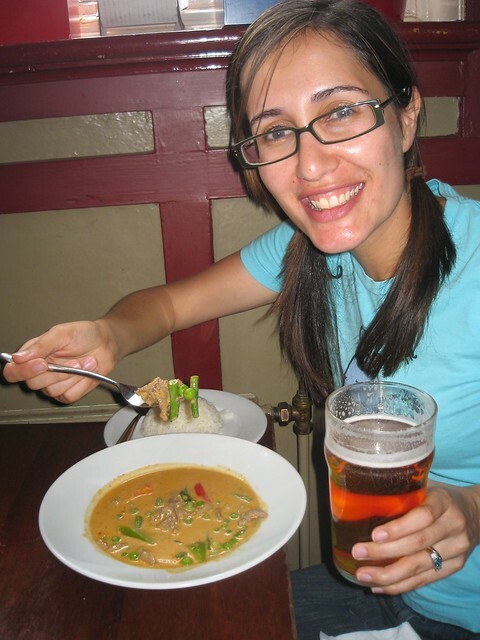 It’s one of several pubs in Cambridge that serves top Thai food, as Thai and real ale are a great foodie match! My favourite dish was the Red Beef Curry, and we would always have prawn crackers as starters. Yum! 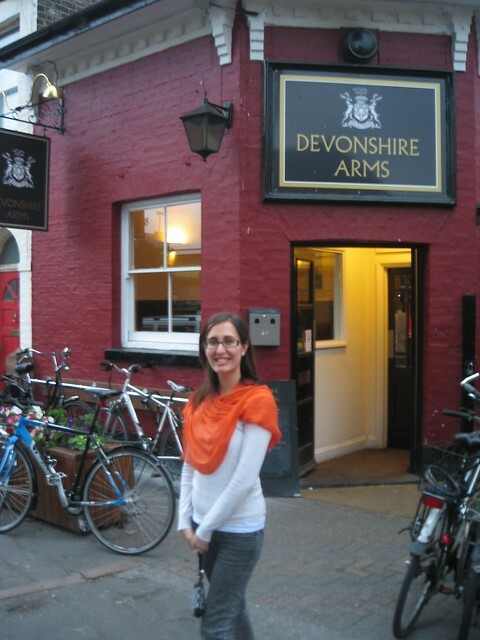 The Devonshire Arms was our daily pub (well, not *daily* daily, but if we wanted a pint after work, we went there). Around the corner from our house, it was a Milton Brewery pub, a Cambridge brewery, so the pub mostly had Milton beers on tap. I was a big fan of Pegasus. Rob would often order Minotaur, Dionysus or whatever was new on tap. The beer was tasty, well kept but also more affordable than some of the surrounding pubs. They did do meals as well, but they seemed to change cook every year, so the meal changed up a bit randomly. But that doesn’t matter, because we were there for a beer and for some scrabble after work. The Plough in Fen Ditton was a favourite for several reasons, one being the delicious meals. It was more a restaurant than a pub – I loved the pork belly with creamed potato, or the roast duck with red wine sauce and baby carrots. It sounds a bit fancy perhaps, but the prices were mid range. 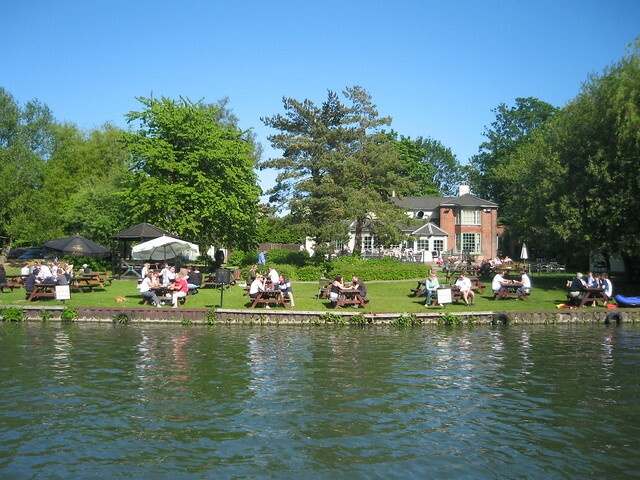 The other reason, if you weren’t there for the food, was the beautiful river side garden seating. It was totally picturesque, particularly when the rowing teams would go by. A beautiful spot, even if it is a little way out from town. 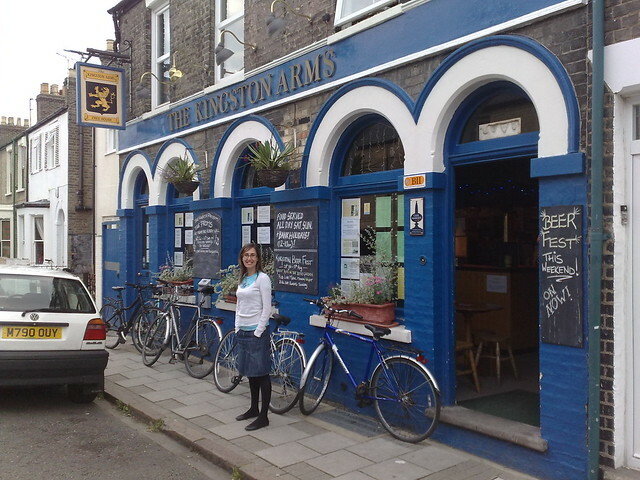 Around another corner from where we lived, we loved The Kingston Arms. It had mismatched furniture, well worn décor, an ever changing list of guest ales and different meal specials every day. It really felt like a second living room, and was always crammed full of people. Board games were a common activity here and the place was often packed! The Blue! Yes, The Cambridge Blue was our favourite pub in Cambridge. A little farther from our house, it was worth the wander. 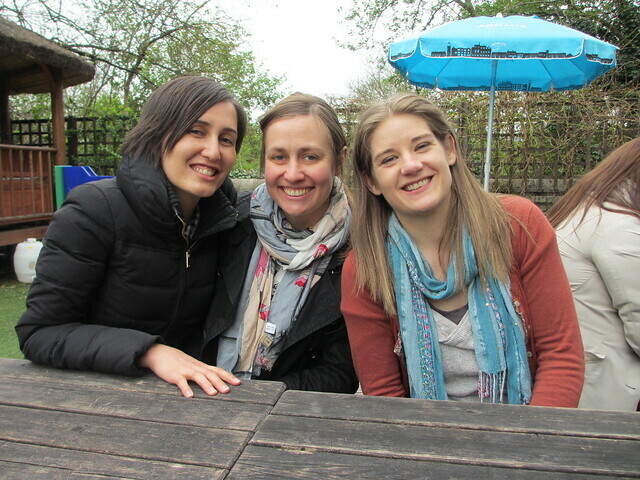 Whether it was for delicious meat pies in winter, or enjoying the beer garden in summer, they had an endless selection of European bottled beer, as well as the most hand pulled real ales on tap in Cambridge. It was wonderful. We had several parties and get togethers at the Blue over the years. Inside was always cosy, and the rowing themed interior was memorable. But yea, The Cambridge Blue was our favourite pub in Cambridge. We’ll miss it very much! Cambridge has a wide selection of brilliant pubs, and we tried to visit all of them. While we weren’t successful, we certainly enjoyed some great ones. If you’re ever visiting Cambridge, do pop in to a couple of their pubs. Well worth the effort.